Take a good and long look at the lead slide for this post. We live in 2017, yet most of us can remember quite a few years in the past. I bet many of us can remember what it was like before the Internet - how we lived, how we shopped and what we thought about the world. Marty and Doc were in 1985, travelled back to 1955, forward to 2015 (and then back again to 1885). I’ve included the slide of Lyon Estates in 1955 as open fields and again at 1985 with a road, houses and street lamps. For me growing up in the late seventies and early eighties, I’ve seen busy roads become footpaths and fields become housing estates - I bet we all have. Also on that slide, fifteen labels taking a few themes like: going on holiday by aircraft, dates from the advent of the internet and technology with a few examples and some key Decathlon dates. As a mindset, I’m thinking (and I hope you can too) and putting yourself into that exact date and time. Something that Marty and Doc had to adapt to pretty fast. I think people have not really changed that much in the last sixty years - what’s changed is the choices they can make. That is, if they are aware of those choices in the first place. I like to think I’ve been the same person all these years, but in reality that’s quite naive. I guess what could be true - I’ve made decisions based on my knowledge and opportunities at any given time.. The Key is to learn About and From this timeline while looking to tomorrow - When I was an undergraduate at University of Warwick studying to be a teacher, some friends who were Religious Studies students told me about a phrase idea called learn about and from. They were studying the beliefs and religions of the world. We can apply this idea to virtually anything. 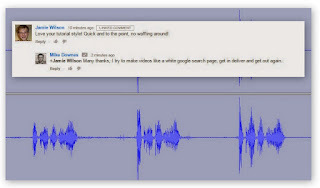 As an example, let’s talk London 2012 and the Double Trap where I was fortunate enough to ask Gold Medallist Peter Wilson a few questions (blog post dated 29 Dec 2012 with a live video from 8 Aug 2012). We learned about Peter and how he googled, ‘Start Olympic Clay Pigeon Shooting’ and also the way he approached his sport: eliminating errors, the mental game, technology, his breathing and other general life advice. The other element of from suddenly starts to emerge. And when it does, there are some huge lessons - the one I particularly like, how Peter had a custom grip made in Germany which helped fuse his arm and hand to the rifle. How many times have we had shoes, clothing or a racket handle just feel out of place and annoying. I’ve posted three times recently on how to cope with and access the modern world, here we look at the wider Decathlon angle looking back to 1950. A time when the world and it’s information and travel was very slow. We then leapfrog up to the present day in Aug 2017 when Decathlon will open up a store in downtown San Francisco. I will be looking for those what we can learn along the way. In a scientific way - what has changed in the last 41 years and what has stayed the same? In the last few thousand years I would imagine planet earth, has always been a large sphere and had life wandering about on it. Here it is in 1972 - which in our little story was a very interesting time. From the point of view of those people in the seventies: information, news, cars and trains travelled quite slowly. In the UK, people went on holiday to the seaside. That was until 1950, when 11 people boarded an old war plane and flew to the mediterranean (there are many links that tell the same story). This was the launch of the package holiday which was a growing trend until financial tour operator disaster in 1974 (nice page to read). London, UK to Alicante, Spain is a two hour flight (at 900 miles). In 2017, with inflight wifi, the world seems much smaller - video call on a plane at 30,000 feet no problem. My own experience as small child in the mid seventies was boarding a plane, walking down the steps and getting photographed (with an old school flash cube), buying the print and smiling at the memento - what a trophy - proof I had flown on an aeroplane! And all the way to Spain! After a horrendously hot sweaty coach journey, usually at night, we were hustled to a hotel, shown a room and we slept. Next morning, it was a Brit’s abroad scenario. I remember being unable to step onto the pavement outside the hotel as it was crowded. There were so many other people walking from right to left - heavy serious traffic heading to the beach. There were two things we needed - a full English Breakfast (at a Brit cafe) and a UK Daily Newspaper, that seemed to arrive one day late - of course it did, it had to be flown that 900 miles from England. Another double take Marty McFly moment - to wait 24 hours for a piece of information. That is if McFly travelled from 2017 back to 1977. As trivia, in 1865 it took 12 days for the assassination of Abraham Lincoln to reach London. After surviving the first few days and getting burnt on the beach and drinking bottled water (of course moaning about it - not like that back home), we went shopping. It was a jaw drop to floor to see a UK High Street Shop in Spain (my memory is quite fuzzy, it could have been Woolworths, Marks and Spencer or McDonald’s. However, I do know McDonald’s went to Spain in 1981). What is a UK store doing in Spain! A huge story to tell people when we got back home. These were a few of my own memories - I’ll let you take a few minutes to recall your own. Please spend the time thinking - what is the oldest memory like this you have? I’d get a real kick out of knowing, leave a comment below. Talking on the telephone - In the early eighties, I had a phone glued to my ear as that was 90% of my day job. It was a rotary dial and had a big metal bell inside and one of those huge handsets. Hilarius to look back on. In terms of transatlantic international phone calls as direct dialling, that was introduced in the UK in 1970 (with London as code 01 and six more cities in 1971). With mobile phones not going mainstream until 1996 and phones with cameras not introduced until 2002 - it was a long twenty five year wait from 1971. And now in 2017, these cell operators are falling over themselves to give us free international roaming. That is of course after a few governments forced them into it after a ten year tireless fight. To understand where we are going, we need to have half an eye on where we have been. I made a tech and web timeline which is available at this link as a pdf. I play the game of thinking about past inventions quite often - it gives me a feeling looking to the future by reliving the past. Anyone can take a glance or read this sheet - and say in the blink of an eye, but few people will look at one aspect like the Pony Express in 1861, and really appreciate how in just a few days it was out of business due to the introduction of the Telegraph. Or how Ebay opened on 3 September 1995 - what on earth did people do before Ebay? A good example is navigation in a car. Years ago it was a spiral bound city AZ Map. Then came the vastly expensive Sat Navs, usually loaded by a DVD (see automotive navigation). Then came TomTom and Garmin. Initial Mobile Phone Google Maps Turn by Turn and now on my Moto G4 using Nougat 7.0 Voice Turn by Turn is available as if by magic with no data charges at all. And not that hard to see how augmented reality on the windscreen will be here soon, if not already (I would of thought). Glass Aero is a good site to visit - includes a video. Trivia - did you know in the first commercially available mobile phone with GPS was the Befefon Esc and that was in 1999. For me personally, my earliest memory of a phone with GPS was the Nokia E71 and that was 2008. 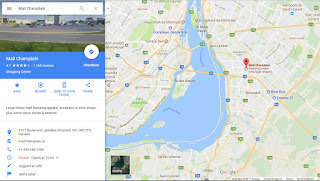 I remember walking around in the dark in a field with google maps open and a little GPS dot on screen - we were on the way to a fireworks display. There must be tens of thousands of little timelines and stories in the last twenty years alone. Getting back to that slide, throughout all this chaos in 1976, Decathlon opened a store - which was the same year as the Video format War or Betamax versus VHS. Hands up if you remember that or the Sony Walkman in July 1979? I keep dropping in these little inventions as a markers to stir your own memories. 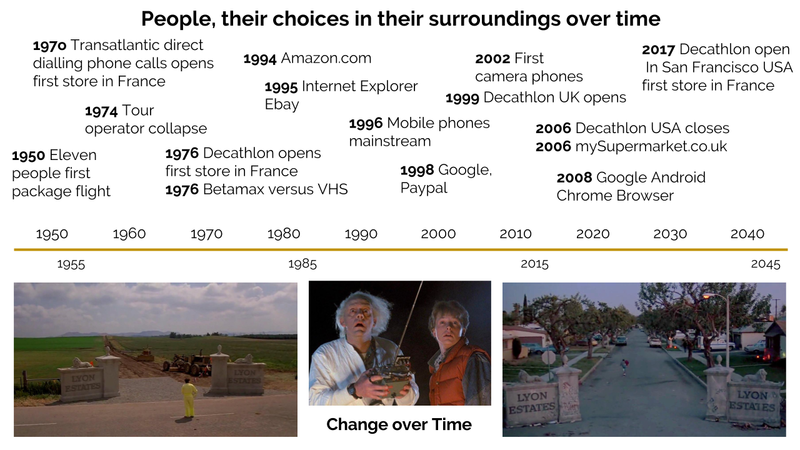 Key Decathlon dates from that slide how first store opens in 1976, UK opens 1999, USA closes in 2006 (from being in USA from 1999? That’s an educated guess based on this link). And then eleven years later in 2017 Decathlon are due to open a store in Market Street, San Francisco (where I have posted when I helped out repositioning street view for them, 4 Aug 17). I’m certainly no sports retailer at all - but fascinating to get Decathlon back to the USA. What’s for sure, 2017 is no 2006 - we have the internet now, mobiles, apps and this omnichannel idea is everywhere. 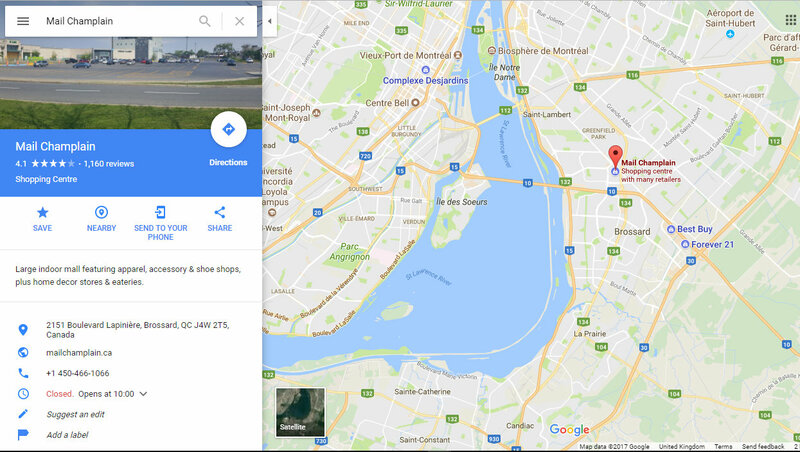 Edit 24 Aug 17 - News just in, Decathlon are opening a store in Brossard, Montreal, Canada which will open 1 April 2018 in the Mail Champlain Mall (as say retaildetail.eu). As a late slide addition, I’ve added mySupermarket.co.uk as that was founded the same year as Decathlon closed in USA in 2006. Of course I’m not implying these two events are related, just pointing out what happened in that same year. These price comparison websites are all over the place, what I like about mySupermarket is how items are food and everyday. Which means tracking things like a latte coffee and grabbing the bargains when that item is on offer. I may make a dedicated post and a few videos on this idea as for a family shopping each week for the same items - keeping prices low is vital. A whole new topic is tracking or reflecting on those High Street stores that have disappeared (Defunct retail companies of the United Kingdom - it’s a long list). Time is a strange animal - Staring at a exam hall clock can make a every second seem like a year, yet a six week summer vacation can be over in the blink of an eye. And time is relative, for the young they may say ‘Wow, I was in kindergarten like yesterday and now I’m leaving for High School’. Where for the mid-adult, they remember 25 years ago as if it was yesterday (providing they can remember - some cannot sadly). I personally, have an excellent memory. I can recall pretty much anything - that’s a blessing and a curve. I remember a childhood tree, and see that same tree today where I’m stunned how much it’s grown. Going back in time - a lot is known, unlike the future ..